Wood Badge is the premier leadership training course offered by the Boy Scouts of America. Simply stated, Wood Badge is advanced leadership training. · All adult leaders must complete This Is Scouting and Leader Specific Training for their primary registered position. Introduction to Outdoor Leader Skills is required for Scoutmasters, Assistant Scoutmasters, and Varsity coaches and assistants. · Successful completion of the BSA Annual Health and Medical Record is required for all participants (parts A, B and C only). No exceptions. · Develop problem-solving, communication, and project management skills to better support your Scouting unit. · Create a personal plan to serve your Scouting unit and leave a legacy. · Understand Scouting as a family of interrelated, values-based programs providing age-appropriate activities for youth. 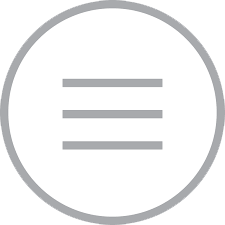 · Recognize contemporary leadership concepts used in America and discover how those concepts are relevant to our values-based movement. · Apply the skills you learn from your participation as a member of a successful working team. · Revitalize your commitment to Scouting by sharing in an inspirational experience that helps to provide Scouting with renewed leadership to accomplish its mission. Additionally, the skills of leadership that you learn in Wood Badge will help you not only in Scouting, but also in your professional and personal life. We all deal with people every day. Wood Badge will help you to deal with them more effectively. 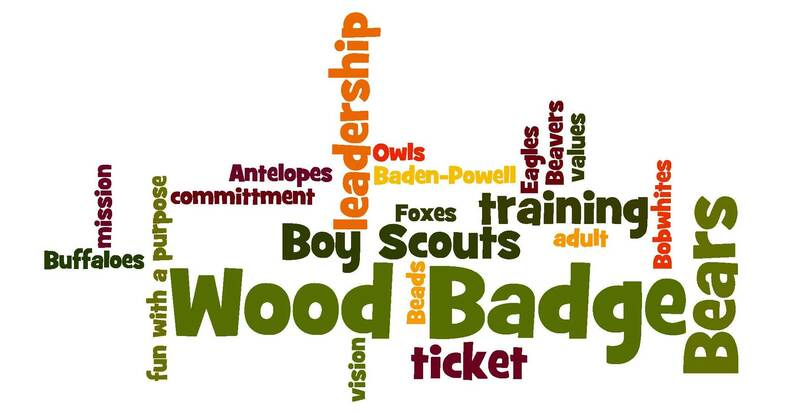 If you are a registered leader active in a Cub Scout Pack, Scout Troop, Varsity Scout Team, or Venturing Crew, or serving in a Service Area or Council role, you are invited to attend Wood Badge! The primary purpose of the Wood Badge experience is to strengthen Scouting in our units, districts, and local councils. During the course, the Wood Badge Staff will help you set some personal goals, things you would like to accomplish in your unit or district. These goals are referred to as the Wood Badge “Ticket”. The ticket represents your commitment to complete a set of five personal goals, which you establish, related to your Scouting position. These goals should be designed to significantly strengthen the Scouting program in which you are involved. In addition, the ticket gives you an opportunity to practice and demonstrate the leadership skills presented during the Wood Badge course. Many participants complete their tickets in 6 to 12 months, but you must complete your Wood Badge ticket no later than 18 months after the course ends. All tickets are developed with this time limit in mind. Upon completion of your Wood Badge Ticket (your five goals), as certified by your Troop Guide, you will be presented with the Wood Badge: neckerchief, woggle, beads, and Wood Badge certificate at an appropriate ceremony. Many Scouters consider Wood Badge to be one of the highlights of their Scouting careers. It has served as a source of training and inspiration to thousands of Scout leaders. In return, Wood Badge participants have positively influenced the lives of millions of America's youth. Where and when is the next course in Narragansett Council? The dates for the next course are April 26-28, 2019 at Cub World in Pascoag, RI. The second weekend is May 17-19, 2019 at Camp Cachalot, in Plymouth, MA. Participation and attendance at both weekends, a total of six full days, is required for the successful completion of the Wood Badge course.